Dole Thailand Ltd. established in Thailand under the name of Island Canning Co., Ltd. which a joint venture with a Thai entrepreneur in order to set up an operational plant for the production and export of canned pineapple. The first start of the production was based on 48.56 hectares (120 acres) of land in Ratchaburi Province. There are cultivating of another 1294.99 hectares (3,200 acres) of land in Amphoe Nongplub, Prachuabkhirikhan Province extended in 1972. Later the operation has moved to a new facility since 1974 with a change of name to Dole Thailand Co., Ltd or Dolethai. To extend high volume of ton process more than 300,000 ton each year, the operation was expanded to Amphoe Ta Sae in Chumporn Province in 1992. 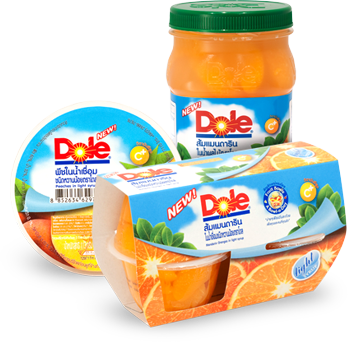 Nowadays Dolethai has various lines for packing such as pineapples, fruit salad, mandarin orange, peach, and pineapple juice. Dolethai has fruit supply from our plantation and those of 1,200 growers who attend the grower program and receive new technology and knowledge. As year-end 2011, Dolethai has a total employee count of 7,000+. Dole Food Company, Inc. is committed to supply the consumer and our customers with the finest, high-quality products and to lead the industry in nutrition research and education. "James Dole made the name 'Hawaiian' almost synonymous with 'pineapple'"
Our pineapple heritage have started from the year 1901 with over 100 years experience. The Company built its reputation on its commitment to "quality, and quality, and quality." These were the words of James Drummond Dole's "Statement of Principles," upon which he founded and operated the Company. 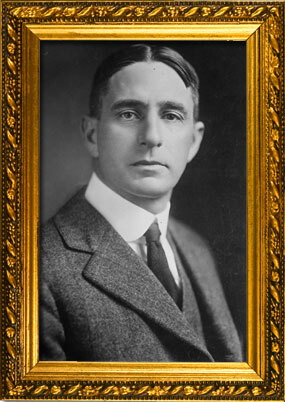 James Dole came to Hawaii with an initial investment of ,000, degrees in business and horticulture and a love of farming. With these, he began the first successful pineapple growing and canning operation, then called the Hawaiian Pineapple Company. Dole developed and grew the pineapple business into Hawaii's second largest industry. In achieving his goal of making pineapple available in every grocery store in the country, James Dole made the name "Hawaiian" almost synonymous with "pineapple." Considered an exotic fruit, the pineapple is the symbol of hospitality, and is often depicted on fine furniture. After Dole began an innovative campaign of advertising with recipes in ladies magazines, the popularity of the fruit increased and was sought by households throughout the U.S. The Company later merged with Castle & Cooke, Inc. (now a separate, privately held real estate and resorts concern) to include bananas and nearly every fresh fruit and vegetable grown in the world. 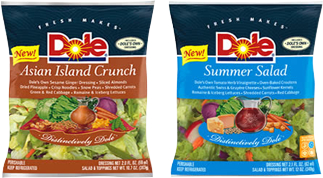 The DOLE® brand name easily translated quality and nutrition to every fruit and vegetable the Company grew and sold. Today, Dole Food Company's worldwide team of growers, packers, processors, shippers and employees is committed to consistently providing safe, high quality fruit, vegetables and food products, along with fresh cut flowers, while protecting the environment in which its products are grown and processed. James Dole's dedication to quality is still the company's top priority. It is a commitment solidly backed by comprehensive programs for food safety, stringent quality control measures, nutrition education programs, state-of-the-art production and transportation technologies, continuous improvement through research and innovation, scientific crop protection programs, and dedication to the safety of our workers, communities and the environment. The DOLE brand means the finest, high-quality products. Dole will continue to meet customers' expectations by consistently providing products that meet the highest standard -- the Dole standard. For Dole, anything less is unacceptable. Comprehensive programs for food safety. State-of-the-art production and transportation technologies.